Forget about shoveling snow or mowing grass, just relax on the maintenance free composite deck or covered patio complete w/ SunSetter awning & enjoy the beautiful pond view w/ water fountain. 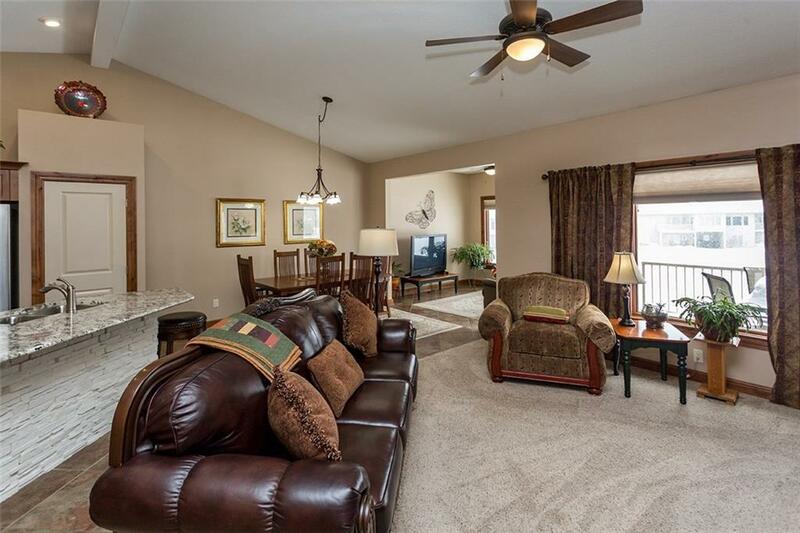 Quality built executive walkout ranch townhome provides comfortable elegance w/ tons of upgrades. Open kitchen w/ granite, new SS appliances features double oven, stone backsplash, Alderwood trim/cabinets, large pantry & tile floors. 4-season room is perfect for morning coffee & to enjoy all the natural sunshine in comfort. 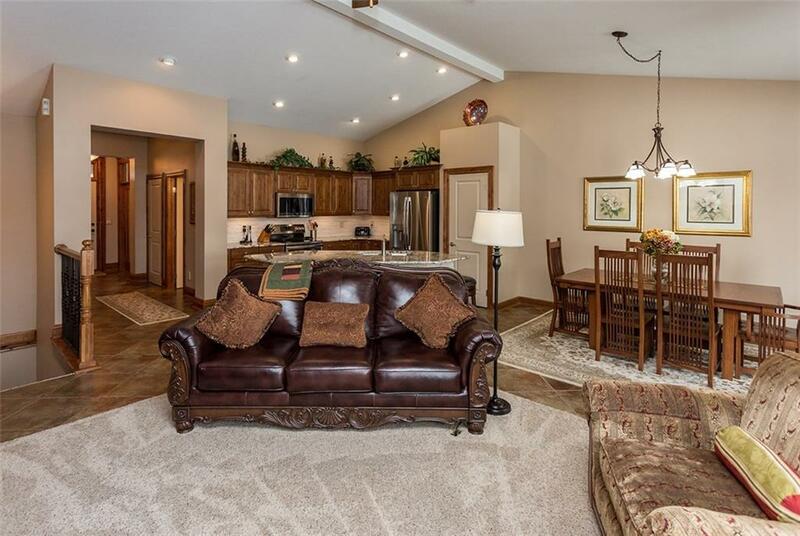 Main floor offers spacious mstr bed w/ private bath, tile shower & walk-in closet. 2nd bed featuring wood floors could also be used as an office. 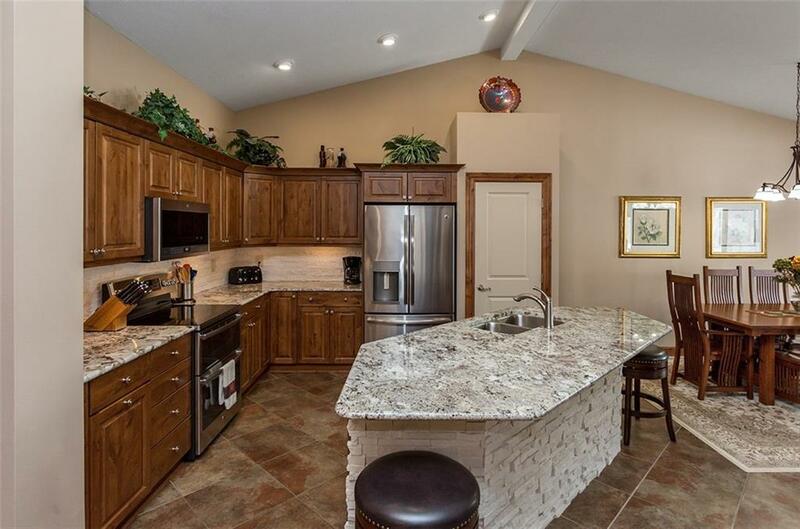 Walkout LL provides an additional living space with 2nd fireplace, wet bar, wine cellar, 3rd bedroom and bath. Other key features incl 9 ceilings, remoted ceiling fans, all lights on dimmer switches, tons of storage space, furnace humidifier, and 3c garage. 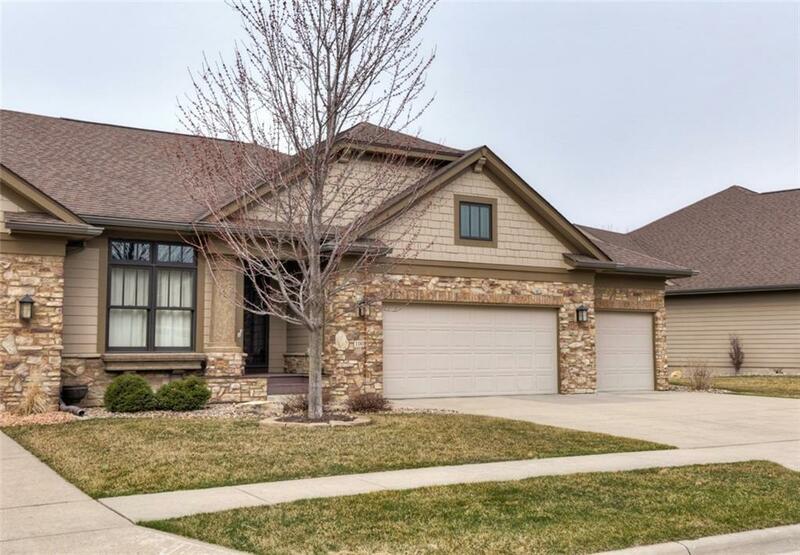 Close to shopping, restaurants, & Prairie Meadows. Easy interstate access. Hoa Name Eagle Creek Townhome Assoc.